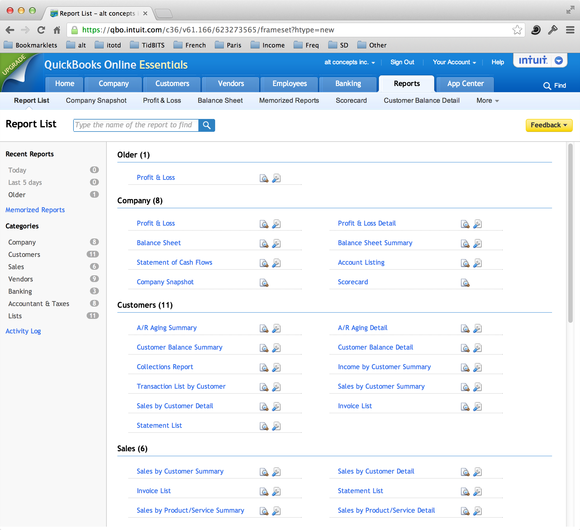 Mac users who want to (or have to) use Intuit’s QuickBooks have plenty of choices—we can run the Mac, Windows, or Web app version. One of those options probably pops out as an obvious choice, but as I recently discovered, the least-obvious solution is sometimes the best one. My wife and I are both professional writers. A few months ago, on the advice of our accountant, we reorganized our small business as a corporation. We agreed to endure a considerable amount of extra paperwork in exchange for significant financial and legal benefits. Our accountant all but insisted that we use QuickBooks so that she could easily view and update our financial records. However, I don’t like that the Mac versions of both QuickBooks and Quicken have for years lagged behind the Windows versions, and I find that expensive annual updates rarely add crucial features. Recently, I also learned about the millions Intuit spent lobbying to keep tax returns complicated. Despite my misgivings, I agreed to use QuickBooks to keep my accountant happy. Initially, I assumed I’d buy the Mac version of QuickBooks 2013 ( ), but when I read Macworld’s review, I discovered that the app’s data files aren’t cross-platform compatible. So if I wanted to share data with my Windows-using accountant, I’d have to back up my data in QuickBooks for Windows format and send her that file, which she could then “restore.” Once she finished with the file, she would send it back to me and I could reimport it. But in the meantime I wouldn’t be able to make any changes to my company’s data, because unlike QuickBooks for Windows, QuickBooks for Mac has no way to merge an accountant’s changes into an existing file. Grrrr. Well, I thought, I’ll just buy the Windows version. After all, I have Windows 7 running on my Mac thanks to VMware Fusion ( ). But before I clicked the Buy button, I saw the fine print about licensing, which changed my mind. 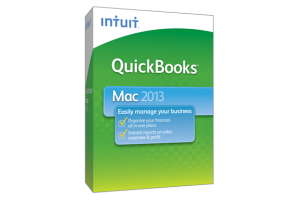 The Mac and Windows versions of QuickBooks 2013 cost the same—$250—for a single-user license. But we would have two users—my wife and I would both need to work in QuickBooks, sometimes concurrently, on different computers. Whether or not it would have been technologically feasible for us to share a license, I prefer to stick to the letter of the law. So we would have had to pay $500, not counting the cost of future upgrades. Then I noticed another option on the QuickBooks website: QuickBooks Online, which is essentially most of QuickBooks rolled into a Web app. We wouldn’t have to mess with Windows software, or with exporting and importing files, and our accountant could access our data over the Web, too. QuickBooks Online can perform nearly all the functions of the desktop version of QuickBooks, including producing a wide range of reports. Although QuickBooks Online has all the features we need, it hasn’t been entirely smooth sailing. It’s finicky in Google Chrome, my current browser of choice. For example, even after instructing Chrome to let the site open pop-up windows, most of those windows are far too small and have to be resized manually. Check printing works, but you can adjust only the overall alignment, not the location of individual form elements—some of which don’t line up correctly on our check stock. But on the whole, the online version has been fine. 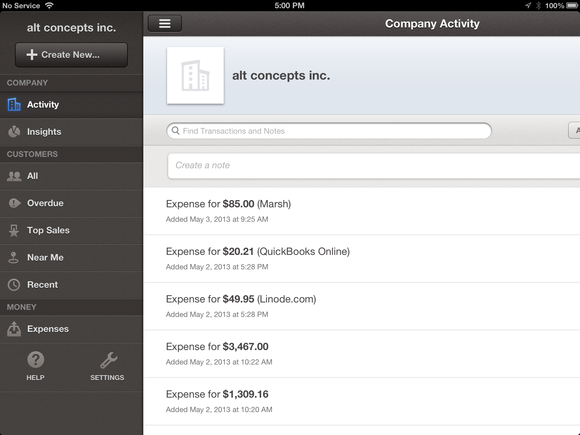 Although it’s less pretty than the Web-based version, the iOS client for QuickBooks Online gives you a native interface for managing your business accounts. I find it incredible that in 2013 I have to even think about different platforms using different file formats. And I’m astonished that given three options—the native Mac app, the native Windows app, or the Web app—the Mac version of QuickBooks turned out to be the worst choice for my business. But our books are in order and our accountant is content. And I’ve learned that sometimes the best tool for a Mac isn’t a Mac app at all.